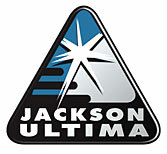 The USFSA has announced that Jackson Ultima Skates has been named as an official non-exclusive supplier to the organization and the 2003 U.S. Figure Skating Team. As an official supplier, Jackson Ultima Skates will supply one pair of skates to all junior and senior level medalists from the 2003 State Farm U.S. Figure Skating Championships. The company will also make a donation to the USFSA Memorial Fund. In addition to serving as an official USFSA supplier, Jackson Ultima Skates will be the title sponsor for the USFSA’s Future Champions Series, which incorporates 36 events throughout the U.S. from March–September 2003. The Jackson Ultima Skate Future Champions Series offers juvenile, intermediate and novice competitors the opportunity to earn points based on placements in each of the events. At the end of the series, the gold medal winners in the intermediate and novice levels from each section (Pacific Coast, Midwestern and Eastern) will be awarded Jackson Ultima Skates. In addition, the top four point earners from each section will receive a medal and their names published in SKATING magazine, the official publication of the USFSA, and on U.S. Figure Skating Online. The Jackson Skate Company is the result of a longtime commitment to producing quality skates. Founded by 1962 World champion and World Hall of Fame member Donald Jackson, the company was purchased by the Bauer family in 1986. A state of the art boot factory was built in 1995 and with the acquisition of Ultima Skates in 2001 the now Jackson Ultima Skates company is uniquely positioned as a respected leader in the competitive figure skating community in its ability to produce and develop boots and blades for beginner skaters to Olympic champions.